Very spring, and this fairy is a natural beauty. Colored pencils and art marker on Bristol (sturdy like card stock but made for artwork). 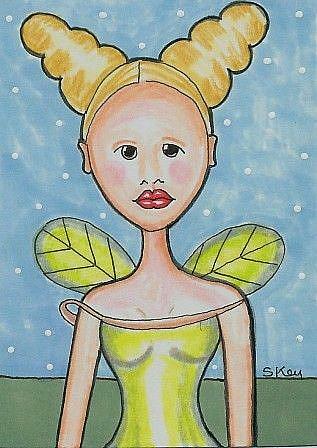 2.5" x 3.5" ACEO art card. A very collectible baseball sized miniature work of art. #11 in the 29 Faces in May challenge. Creating 29 faces in the 31 days of May.